in my private dermatological practice I treat the human body in its entirety, combining the classical spectrum of dermatology with modern aesthetic methods and anti-aging therapies. As we work with firm appointments only, you will have no waiting time and a maximum of discretion is ensured, as you won`t be seen in the waiting room. Besides the first-class medical treatment our exclusive service of efficiency and discretion guarantees you a pleasant time in our practice. In order to realize the best results possible I take the time that is required to talk to you in length and examine and advise you in detail. If needed we will elaborate a comprehensive individual treatment plan together, which can include classical and naturopathic therapies as well as aesthetic aspects. With this matrix-therapy, we lay a foundation “from within” in order to prevent diseases and create the base for external beauty at the same time. my dermatological practice is characterised by a broad range of preventive, diagnostic and therapeutic services. Due to my years of practical experience and expertise as well as specialized advanced training I possess a profound knowledge of certain areas. The wish for a youthful, fresh appearance becomes an increasingly important issue in the field of aesthetic medicine. In our opinion, aesthetics are used to emphasize and preserve your natural beauty. The spectrum of treatments in my dermatology practice ranges from preventive therapies such as medical peelings to the injection of botox or fillers and laser therapies for skin rejuvenation. 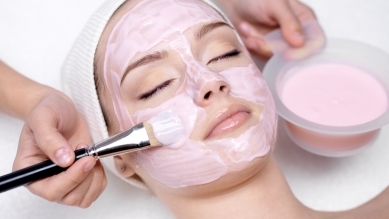 For excellent aesthetic results I combine treatments individualized for the need of your skin. While modern conventional medicine is mainly concerned with diagnosis and therapy of diseases, the focus of preventive complementary medicine is preserving and increasing your physical and mental health. In order to optimize each therapy individually I combine traditional naturopathic therapies with modern scientifically established methods. individual appointment with us, either on the telephone or via e-mail. Just let us know if you f you need a pickup service from the Airport or a recommendation for a Hotel. Enjoy supporting and complementing treatments in our „Bio-Aesthetic Cosmetic Institute“ with high-quality products on a natural basis. Furthermore, we offer you medical foot care carried out by a podiatrist. Make an appointment and let yourself be treated without time pressure, according to the highest medical standards and with top modern technological equipment.